OK confession time. I’m a Micellar water girl through and through. I’m really lazy in the evenings so can’t really be dealing with the whole wrapping a headband round my face, getting face wet, lathering etc. However after reading hundreds (almost) reviews about how great balms were (see me The Blogger Made Me Buy It post here!) I thought I’d better see what all the fuss was about! The first balm that I tried was Clinique Take the Day off Balm after reading so many wonderful reviews, but the hype seems to have died down recently. Firstly I really love the packaging; one of the best things is that I can’t knock it over! I get out of bed an hour before my boyfriend, but frequently wake him by knocking my cleanser into the sink… not any more! It’s compact and neat, and the purple just looks pretty darn cool. Inside is a hard substance that all I can really compare it to is lard (sorry!) which you scoop out and melt between your fingertips. I only use a small amount of the unfragranced balm, and massage the oil in. Now that my oil-phobia is cured and I’m converted to using facial oils (see how they work for all skin types here) in my routine, this doesn’t scare me, but I can imagine how it would for many with slightly oily skin types. Fear not though as the cleanser rinses completely clean and leaves no residue, just a squeaky clean finish. It’s £20.50 which I think is really good considering how much is in the pot, and how little you use each time. Intruiged to try more, I then tried the Glamtox Cleansing Balm from one of my new favourite brands; Rodial. Again, love the packaging, although this one does tend to fall over! It’s a silver tube with a handy pump so perhaps better for girls with long nails, and the balm is less solid that the Clinique, as though it’s already started melting. I like the scent, but I don’t love it but it’s the glow that it gives my skin that makes me keep coming back to this cleanser. The ingredients claim to help even out your complexion as well as removing all traces of makeup and dirt, and my skin feels nourished after using the product. 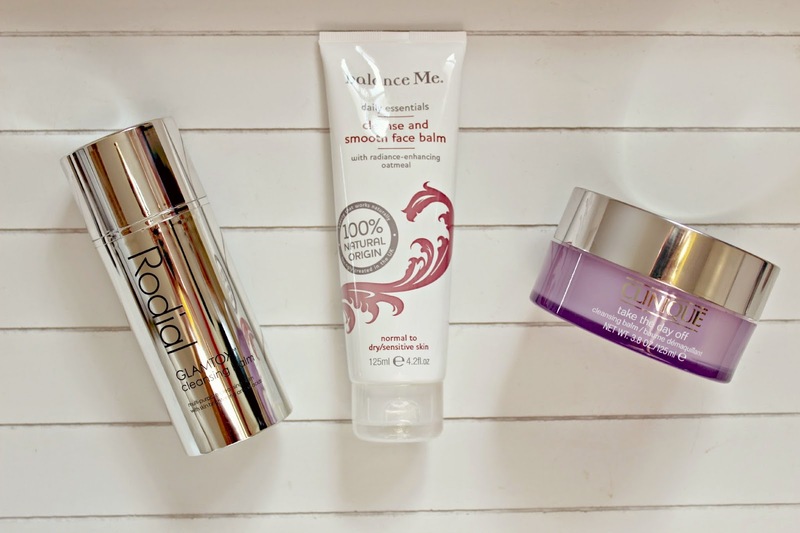 The Balance Me Cleanse & Smooth face balm is the cheapest of the three (by just a smidgen!) at £20, but although it does look cheaper, the product in no way feels inferior. With the same lovely texture as the other two balms, this melting cleanser is perfect for giving your face a mini massage, and I’ve even used this with my Clarisonic as it doesn’t emulsify into a runny milk, but holds its form quite well. It removes all traces of makeup but as with all the balms I remove the majority of my eye makeup first before applying. Overall, I am converted to balms! While I may not use them everyday *cough* lazy *cough* I will be using them on the days when I want to step up my skincare and give myself a bit more of a pampering! These are my personal favourite three, but I’d love to know which ones are your faves! Have you tried any Cleansing Balms?